You know exactly what you are doing today and will not be swayed by luck or chance. 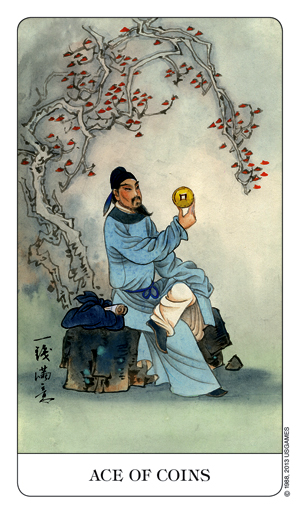 The figure in this image holds an I Ching coin which are used for divination purposes however there are no question marks surrounding what you need to next to proceed and you do not need any divination tools to tell you what needs to be done. You are already packed and ready to go on a new venture and are ready for whatever comes your way. If there is a new venture you have been wanting to start do not delay. You know what you need to do next and the energy in the red blossoms clinging to the tree despite the signs of a strong wind only spur you on to take your first step forward into the unknown… or is it the known? 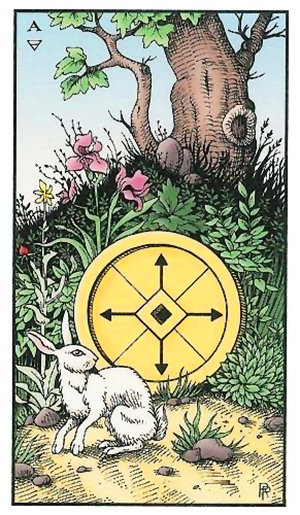 With the Sun in Cancer today and the Moon in Taurus there is a lot of stability and security around that means you will not be second guessing what is coming next. My money would be on you knowing exactly what is coming next and where it is coming from. You also know what to do to avoid any pitfalls in the road that lays before you and whilst you may just be sitting down to have a rest or a break from monetary and/or business matters you are ready to get up and go at a moment’s notice.